Our Timber Side Gates & Side Doors are made to measure and can be made to fit any opening, up to a maximum of 1m. 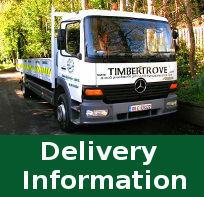 Excellent quality, made with tongue and groove timber boards, 115mm x 22mm TGV. Gates can be made with an arched top or straight top. Gates can be treated with a golden brown wood preserver or made with pressure treated timber. The standard Side Gate height is 1.8m (71") with the option to make higher at an additional cost should it be required. The maximum width of our side gates can be up to 1.0m (39") wide. FREE with our timber side gates and side doors: Hinges, Pad Bolts, Screws, Express Nails, Timber Door Frames and Timber door stops. A large range of side gate accessories can be purchased from our showrooms, such as ornamental hinges, thumb latches, night latches and rim locks. Timber Side GateSupply only €129 Treated with a Golden Brown wood preserver. Timber Side Gate Supply only €149 Manufactured with Pressure Treated Timber. If you choose the supply and fit option we will call out to you and measure up for your new Side Gate as required. If you choose the supply only option please state when ordering in the "delivery notes" box at the checkout stage, the opening (wall to wall) measurement and whether you require straight top or arched top gate. If you want to order a higher gate please email or phone us with your measurements and we will contact you with a price. Please note we fit gates in the Greater Dublin area only. Please contact our sales team for more information, 01 493 1034.